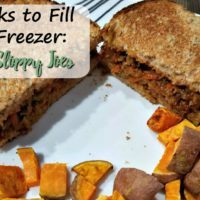 This morning’s freezer prep was really easy! 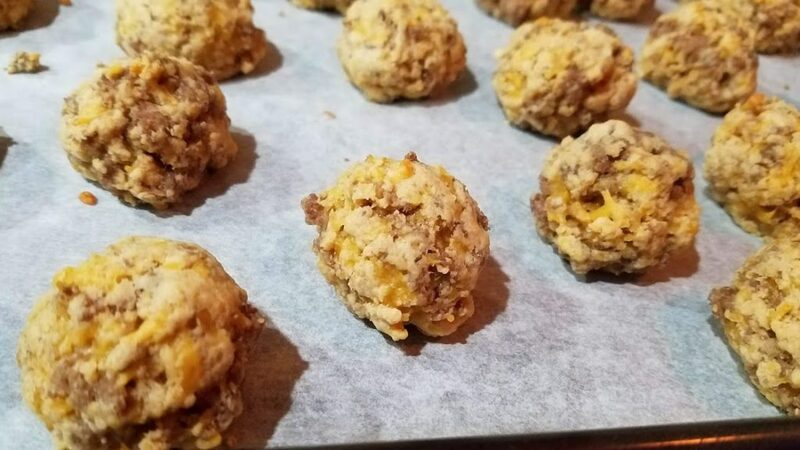 I made these Healthy Breakfast Sausage Balls in about 20-ish minutes and popped them oven before I woke up Allison for the day. I’ve only had these a couple times before, like during a get-together where someone else has made them. And they’re SO good, but I never knew how to make them. 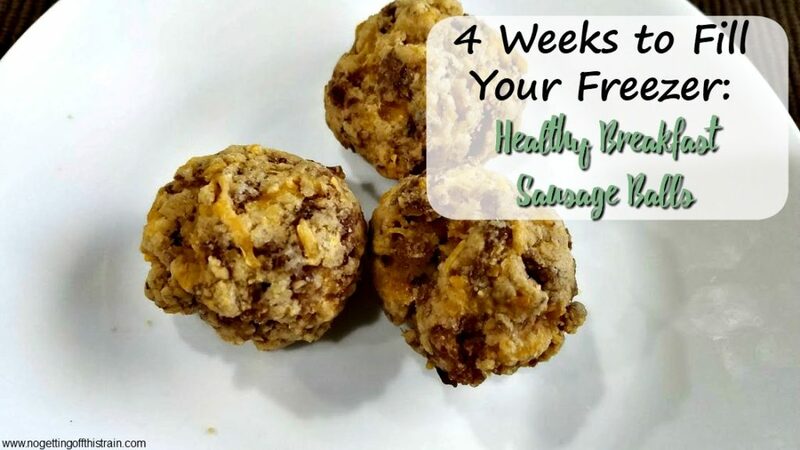 These Breakfast Sausage Balls are pretty healthy and have just a few ingredients. After cooking the sausage (I used turkey sausage), mix together the dry ingredients and cut in the butter, then add milk. It’s just like biscuit mix! Add the sausage and shredded cheese and now you have a huge, lovely, crumbly mix that you can easily roll into balls. I used a cookie scoop and it made 48 of them. That’s… quite a bit, but 5 or 6 of these could be a full serving. 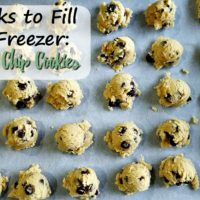 After they’re finished baking, you can stick them straight in the freezer once they’ve cooled. Just make sure you use parchment paper on the cookie sheet; otherwise they’ll stick. I was also able to fit all of them into a gallon-sized freezer bag! When it comes time to reheat them, just put 3-5 frozen sausage balls on a plate and microwave on the defrost setting for 40-60 seconds. They turn out great! After a full 5 days of doing this, I’ve realized that there may not be enough room in my freezer. I’ve stuck some of this into the small freezer in my fridge, but I just have too much in my freezer already. We’ve been eating these breakfasts to make room, which are super delicious by the way. 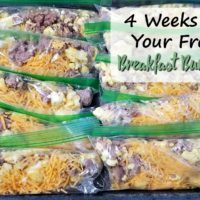 Breakfasts are usually easier to make than lunch/dinner, so I won’t worry too much if we have no breakfast in the freezer! How are your freezer meal sessions going? 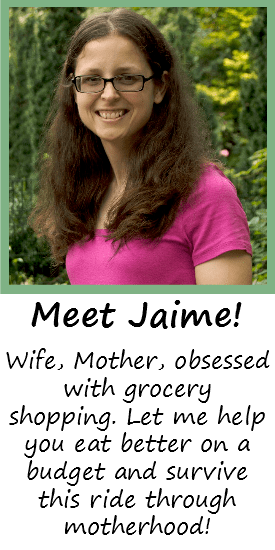 Leave a comment, especially if you’ve made different recipes! 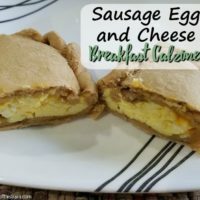 Need a healthy, portable breakfast? 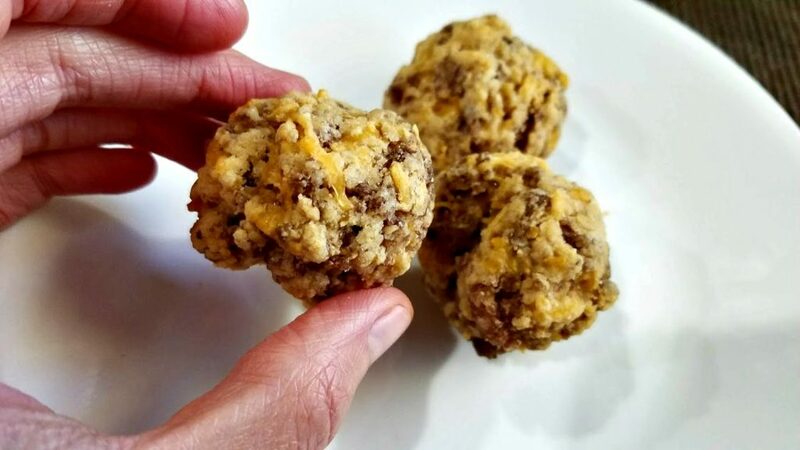 These Breakfast Sausage Balls are freezer friendly, great for parties, and easy to take on-the-go! In a large bowl, mix together the flour, baking powder, and salt. Cut in the butter and mix until the butter looks like small peas. Slowly add in the milk and stir until fully combined. Add the sausage and cheese and mix. 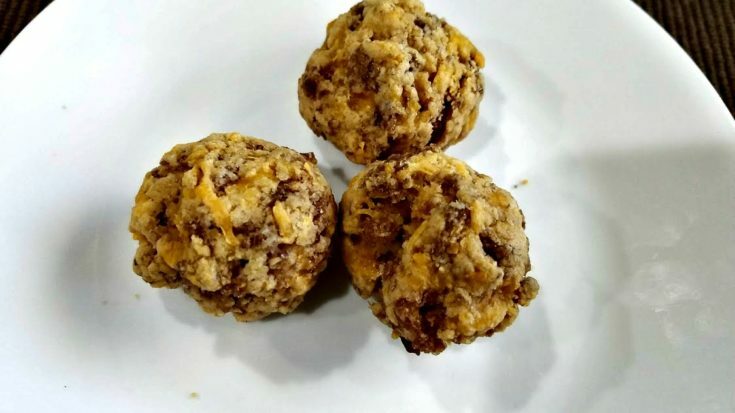 Using a cookie scoop, roll the mix into small balls and place on two cookie sheets lined with parchment paper. Bake for 10 minutes until slightly browned. Adapted from Family Food on the Table. To freeze, wait until the balls are completely cooled, then place directly in the freezer on the cookie sheets lined with parchment paper. Once frozen, place into a gallon-sized freezer bag. To cook from frozen, place 3-5 balls on a plate and microwave on the defrost setting for 40-60 seconds until hot.